Like I said on the previous page… I’m confident that if you complete this short game improvement program you will massively improve your short game and take strokes off your scores. Now on this page you can download this program plus bonuses. But please read all instructions CAREFULLY! Important Note: You MAY NOT resell, redistribute, share, or give away this program or bonuses. They are all Copyright Protected. You may print ONE COPY or save to disk and view on your computer. If you have any problems downloading anything… Don’t panic!! Simply email (jeff@consistentgolf.com) and we will help you. If you have any questions or problems about your short game simply send me an email. My email address is: jeff@consistentgolf.com You’ll get a response back from me personally (Jeff Richmond) within 24-48 hours (generally sooner) Monday-Friday. As a customer of The Short Game Improvement Program you can send me your short game swing on video and I will analyze your swing and send you back advice and a plan on what are the main things you need to work on improving. To do this simply send me the video to: jeff@consistentgolf.com. If the video file is quite big you can use a free service like: http://www.sendbigfiles.com/ to send the video to me. Just email me after to make sure I get the video because with email things can go missing. This audio exposes you to a secret mental technique that Tiger Woods has used since he was six years old to automatically program his mind for golfing success. After 30 days of continuous listening to this audio this is what you can expect…. This audio has been sold for $24.95 and has been used by over 10,000 golfers all around the world. But it’s yours FREE now. 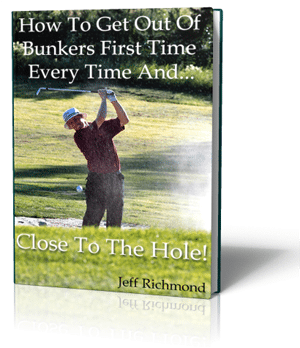 Free Gift #4: How To Get Out Of Bunkers First Time Every Time And…Close To The Hole! If you struggle to get the ball out of bunkers and close to the hole then this ebook is quickly going to become a favorite with you. 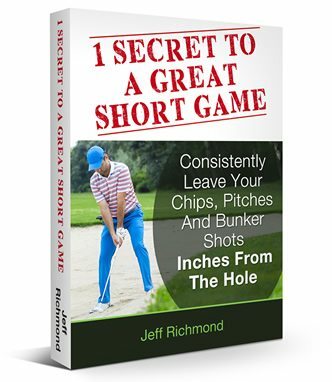 When you read this ebook you’re going to discover exactly what you need to do so you can become a great bunker player. Surprise Bonus #2: 11 Short Game Drills To Help You Up And Down It From Anywhere! Great drills that teach you the correct wrist and arm action needed for consistent chipping. An awesome drill to help you hit your pitch shots the correct distances – consistently. Extra drills to become a consistent pitcher. A fantastic drill that trains you to hit the sand rather than the ball when playing bunker shots. 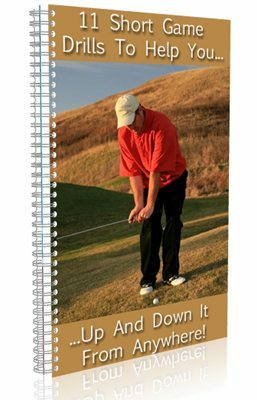 Click here to download 11 Short Game Drills To Help You Up And Down It From Anywhere!